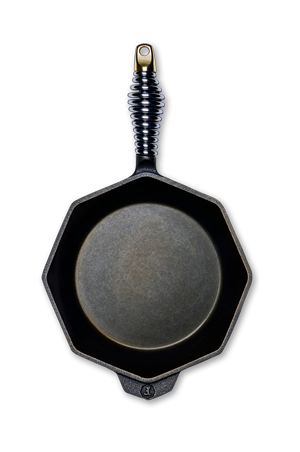 Learn More - Cast Iron Skillets | FINEX Cast Iron Cookware Co. 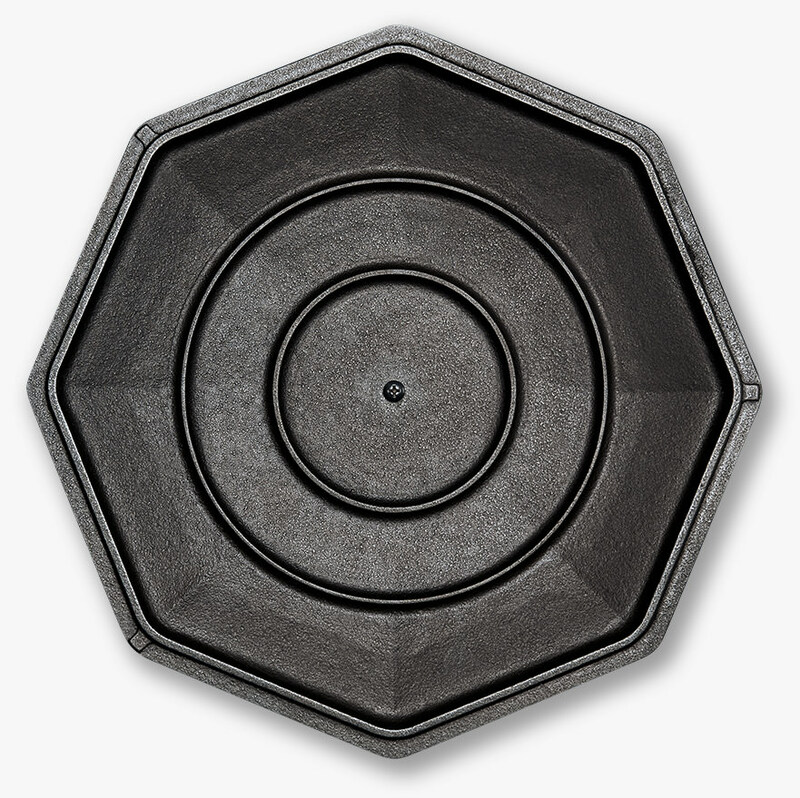 Eight rounded corners serve as pour spouts that seal up tight or serve as evenly spaced steam vents with our matching lid. Eight flat sides it easier to get a spatula behind the crust on cornbread, pizza and other baked goods - and make it easier to squeeze a couple skillets into a crowded oven. Cast with an additional lip on the underside for better grip and secure serving - just don’t forget to use a towel or hot pad. Wound from 300 series stainless steel rod stock and hand polished to high luster, our handles stay cool longer, cool off quicker and feel better in the hand. Inspired by vintage wood stove door handles, they bring high-end fit and finish to a time honored design. CNC machined smooth right up to the curved edge, our cooking surfaces are smooth to the touch for near non-stick cooking and easy clean up. 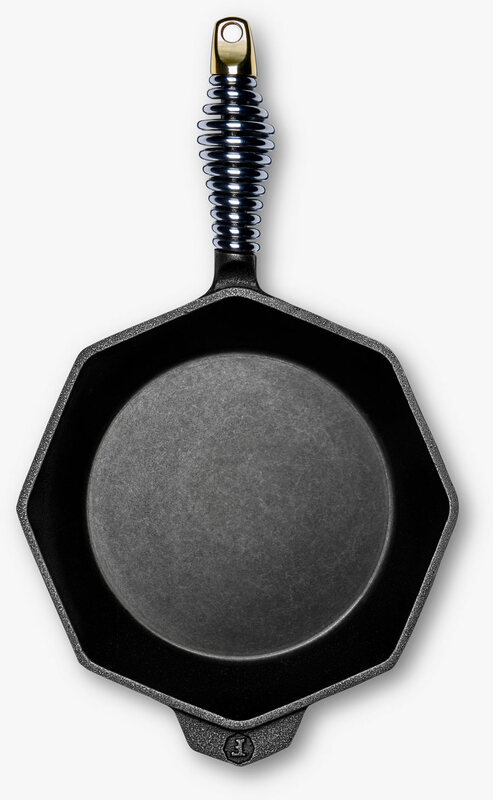 Ready to cook right out of the box, each cast iron piece comes pre-seasoned to a non-stick, rust resistant bronze finish that will patina, darken and continue to improve as you cook with it. 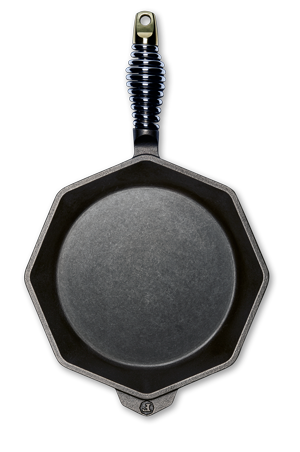 Thick bases & walls distribute heat better, deliver stronger searing and more even cooking on any heat source. Milled and hand polished from casting brass to add eye-catching balance allow for secure hanging, our brass end caps patina and age beautifully. Dual rings on the underside of each lid collect steam that boils off and drip it evenly back onto your dish, avoiding the soggy edges and dry center that can occur in some slow cooking. 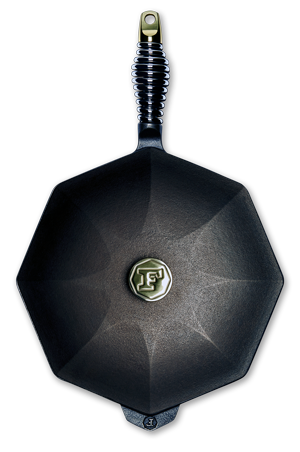 Ready to cook right out of the box, each FINEX lid comes pre-seasoned with 100% organic flaxseed oil to a non-stick, rust resistant bronze finish that will patina and darken with use. 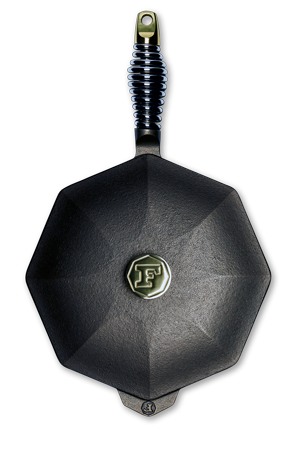 Milled and hand polished from casting brass to add eye-catching balance and allow for a secure grip, our lid knobs are lids are made to match the skillets’ end caps. 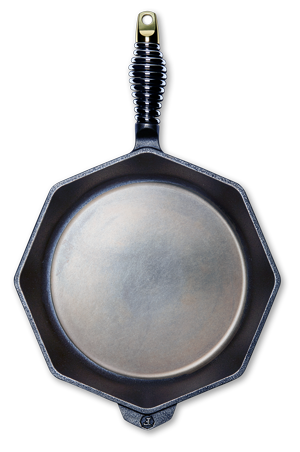 Only about a ten-thousandth of an inch high, our rim rests help keep lids from rattling - even at a boil.